Please find below a very inspiring story in recovery Don’t count calories. Count THESE instead…. This post is courtesy of Dr.Nina. I love the title of the post ‘Don’t Count Calories Count these Instead’. I’ve had so many visitors to the blog who are obsessed with counting calories. 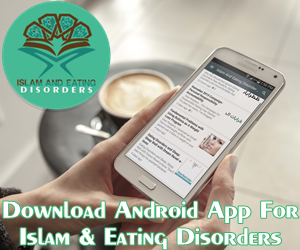 One young person developed anorexia over calorie counting app. Some doctors argue calorie counting is an eating disorder. 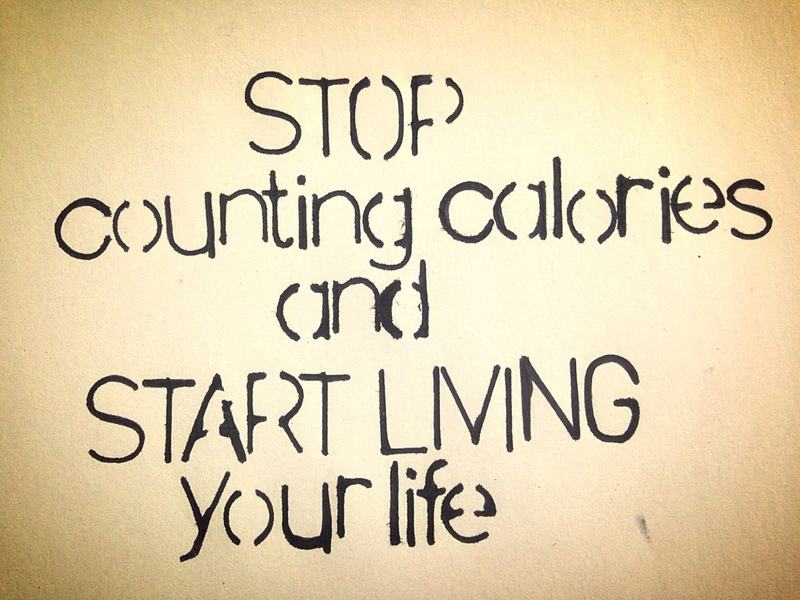 I strongly encourage you to stop counting calories and count your blessings instead. Another suggestion was by a young sufferer in Penanng, Malaysia. I recommend Dhikr as well. Please find below some quick Dhikr when you feel challenged by the demon of Eating Disorder. I cannot emphasis enough on benefits of Dhikr in recovery from Eating Disorder. You can read our Dhikr Post here. You Can download Dhikr Rewards Chart below – This is a brilliant handout on various Dhikrs and their benefits. The Dhikr below is beautiful. You can play it in background and it will really have an impact on your mind. The kids giggled, as the teacher easily snapped the crayon. The kids giggled – of course, the teacher could not break them. Don’t count calories. Count THESE instead… What a powerful way to demonstrate strength in numbers. Recently I’ve been thinking about how to provide a greater sense of community to you, and I remembered those crayons. Ever feel as if you’re at the breaking point? Keep in mind that you’re part of a group of thousands of individuals (or crayons) all striving to win the diet war. When you hear other’s stories and struggles, you know you are not alone. (If you’re a member of the secret Facebook group, you know how powerful this can be – and if you’re not a member, but you’d like to be, just hit reply on this email and I’ll help you out). Don’t count calories. Count THESE instead…. “I never realized how much I had changed until I had a bridesmaid dress disaster a few weeks ago. My cousin Kate’s wedding was a few weeks away and the bridesmaid dresses had finally arrived. I was a little nervous–we’ve all seen 27 Dresses and know just how awful a bridesmaid dress can be! Well, my cousin pulled out a lacy, peacock blue dress out of the bag and I thought it was gorgeous. I put it on, started to zip up, but as it got about halfway up my back, the zipper stuck. Kate came around and started yanking and pulling and tightening, but it didn’t budge. The dress was simply not going to fit. She was afraid that my self-esteem was going to plummet simply because I needed a different letter on the tag of my dress. A year ago, I would have been devastated. But a lot can change in a year. I thought, “The size of the dress doesn’t change my body! Just because this size doesn’t fit doesn’t mean I need to lose weight! And I’m certainly not going to keep the too-small dress around as motivation to diet. Heaven forbid I diet and the second the wedding ends, I turn around and binge on everything I’ve restricted the last three months. She laughed, and together we called the company to ask about their exchange policy. Anne is a college student in the Midwest who’s thrilled to have created a healthier, happier relationship to food – and most of all, to herself. I love Anne’s body-positive response to the bridesmaid dress. As I considered her experience, I started thinking about numbers. Why do we allow our identity and our worth be determined by the letter or number on our clothing? Some of the world’s largest crimes against humanity have been when we stripped others of their names and identities, and instead we assigned them a number. Promise yourself today to stop seeing yourself as the size of your jeans or the number on the scale, and instead see yourself as a person with wants and needs, likes and dislikes. Be more than a number… be YOU! Today, refuse to say anything negative about your size. Assess the size of your heart, not the size of your jeans. Count the number of your friends, not the number on the scale. Today, find positive attributes of your body to focus on. Today, challenge the thought that you will be happier when you are skinnier. Today, tell yourself that you love and respect yourself. That’s how you win the diet war!